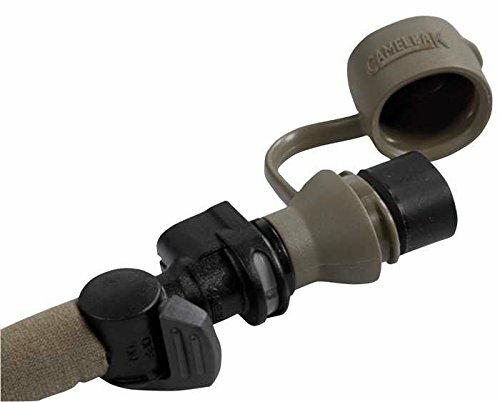 » Reviewing the Camelbak Ambush – Capacity vs Efficiency? Hydrate or die, as the saying bluntly goes. No matter what form your outdoor excursion takes, this sentiment should always be kept in mind. That’s why hydration should be an important companion on any trek. Hydration packs fulfill this need by providing convenient water storage along with the ability to bring some other necessities along for the ride. 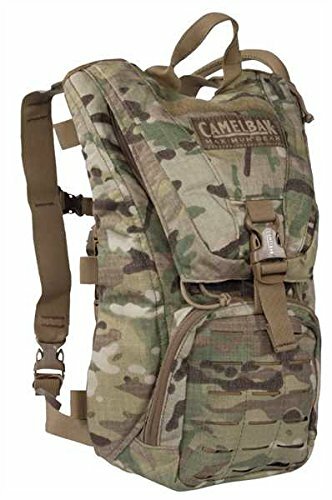 Camelbak has been an industry leader for years here, and the Camelbak Ambush, its slim, military grade hydration pack, is one of many testaments to their quality. As far as packs go, the Ambush is on the leaner side of the spectrum. With a total capacity of just 7 Liters, it trades storage space for fine-tuned efficiency, providing a pack that won’t be a burden. It fits into Camelbak’s military line of products, which can be seen as a guarantee of its ability to weather any storm. The Ambush was designed for efficient, lightweight traversing. Three of its 7 Liters of storage are dedicated to water storage, leaving just two pockets to store food, an item of light clothing and a couple other essentials. Anything more than a daytrip would be stretching this pack’s means. The largest pocket snugly houses the 3 liter bladder, with a flap allowing for quick access to the bladder mouth. On that flap is the smaller of the two pockets. Its envelope style makes it ideal for storing food, light clothing or a first-aid kit—anything you want quick access to. The second, lower pocket is the more functional of the two. It features three mesh inner pockets for storage of smaller items (knives, pens, etc.) as well as a key lanyard. The upper and lower pockets are connected by a buckle that reduces weight stress on the pack. It also, inconveniently, blocks access to the lower pocket while buckled. In its design for military use, the Ambush has a lot of functionality you may not have utilized in a daypack before. 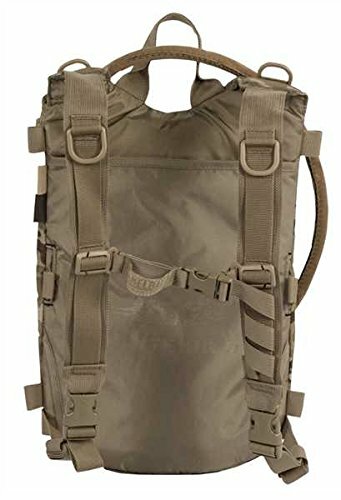 If you’ve got a larger pack to carry in addition to the Ambush, you can quickly tuck away its shoulder straps and latch it onto the larger pack to maintain access to the water reservoir. This alone gives it an edge over other options for a secondary pack on multi-day treks. The pack has more carrying ability than the pockets imply. On the front of the lower pocket are three rows of PALS webbing—very sturdy for carrying objects externally. (Note: In the newest model, this has been removed, replacing it with slits in the pack fabric for storage. Built for combat situations, quick-release buckles on the shoulder straps let you ditch the pack in a hurry. Unfilled, the pack weighs just 1.6 pounds. Camelbak bladders have evolved quite a bit over the last 10 years. Luckily, the one included with the Ambush, the Mil Spec Antidote Reservoir, uses some of the company’s best innovations. The 100 oz. reservoir is designed to collapse to occupy minimal space as it’s emptied, which reduces the sound of water sloshing around. The hose is insulated (with the insulation tube matching the color of the pack), a modern feature that’s becoming the standard. Still, it ensures performance in a wide range of weather conditions. It also keeps the water cool in warm weather. Compared to previous Camelbak reservoirs, the mouth is a bit larger—big enough to stick your hand in for cleaning (Camelbak claims it’s the largest mouth on today’s market). The drinking hose is detachable from the bladder, which allows for quicker refills. The bite valve (the piece you drink through), also has an easily removable cover to keep the valve clean (nothing worse than going for a drink and getting a mouthful of dirt). The bite valve also has a locking mechanism so I won’t leak during storage. The bladder tube also has multiple exit holes from the pack, allowing you to loop it over your shoulder or under your arm. The latter is a rarely seen option ideal if you’ll be navigating through thick brush or another environment where an exposed tube might get hooked on something. Still, even with these improvements, if you don’t want to stick to the standard issue Camelbak bladder, there’s nothing stopping you from replacing it. If you’re planning on getting the most out of this pack’s ability to take punishment. Source bladders are reputably among the industry’s toughest. The top of the Source bladder completely unzips, which allows for more thorough cleaning than Camelbak bladders. A bit of debate exists over the 2015 Ambush design compared to its predecessor, which is now discontinued on Camelbak’s site, but can still be purchased on Amazon and other third-party retailers. About 96 percent of the pack remained the same, so really, this shouldn’t make or break your decision on whether or not to buy an Ambush. The aforementioned omission of the PALS webbing was a point of criticism. The other was, more significantly, the removal of the padded pack straps. The likely rational of Camelbak, presumably, is that since the weight of the small pack would be little more than the water being carried, padded straps weren’t as crucial as they would be for a heavier pack. Although the pack is still very comfortable (to the point that you forget it’s on), padded straps, as a rule of thumb, are always preferable. 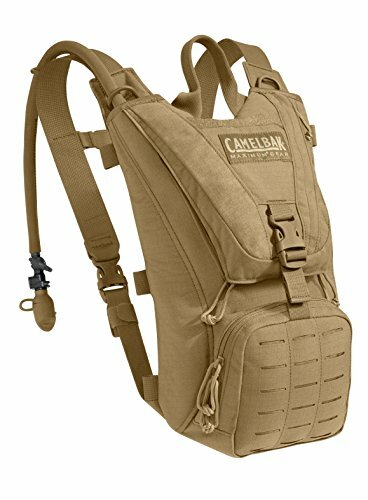 It should also be mentioned that Camelbak warranty covers both the old and the new, since the warranty applies to the pack itself regardless of when or where it was purchased. As far as build quality, this pack would be tough to beat. It’s safe to say that if it’s good enough for Middle East military operations, it will likely be sufficient for your plans with it. The newer Ambush model retails for here for an attractive price, although the older model can be purchased for slightly less (check here on Amazon). This puts it on the slightly upper end of the price scale for hydration packs. Much more affordable options exist. Even big discount retailers like Sam’s Club and Costco offer options for under $50 that will hold up under light use. 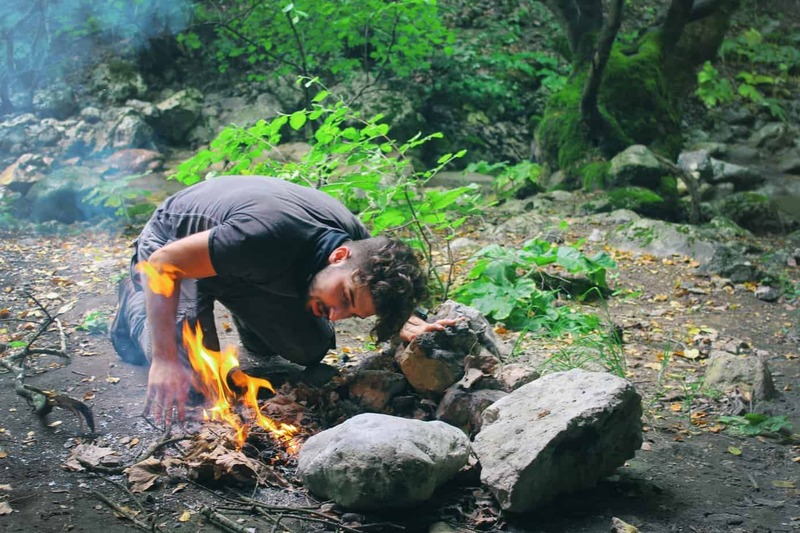 One could argue that if you’re using a hydration pack for little more than music festivals or hiking once or twice a month, that’s all you need. Sure, reliability isn’t as crucial when you aren’t on a military combat mission. But quality and durability are always worth investing in, especially for something you should only need to buy once, like a hydration pack. Pound for pound, the Camelbak Ambush is debatably the best hydration pack on the market. As long as you’re packing light, you don’t need to look any further.